The owners came to Dalecki Design with a dated three bedroom, one bathroom home wanting to open the house up and create extra living space for a home that could comfortable serve the needs of a professional young couple. Through reducing the number of bedrooms and utilising the original footprint of the home to it's full potential, the once cramped, non functioning layout was transformed into an modern open plan living home. 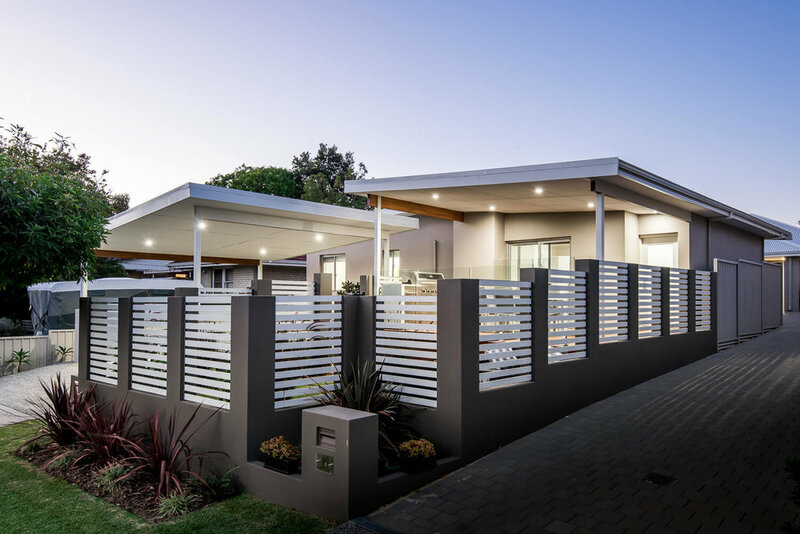 Whilst the house appeared tired and worn, both the owner and Dalecki Design saw great value in the existing structure, so decided against knocking it over in favour of renovating the existing house. 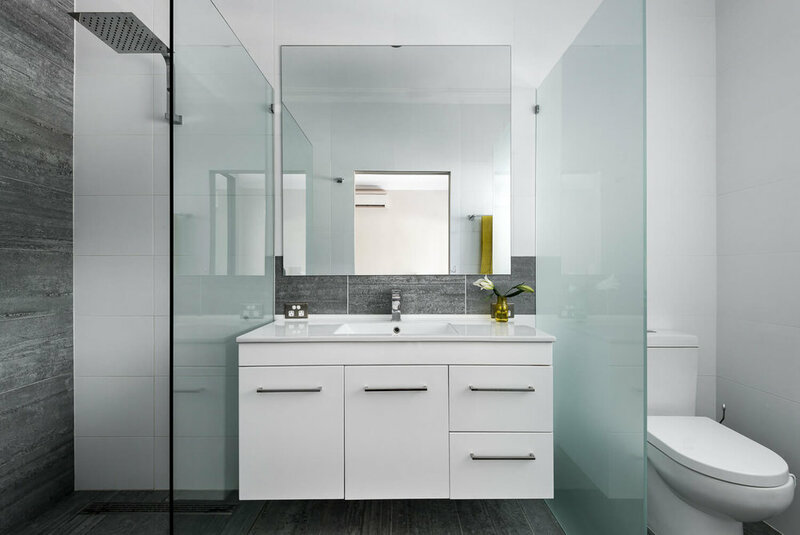 Rather than increasing the number of bedrooms, the owners saw value in reducing the number of bedrooms to two, which resulted in the third bedroom being utilised to create space for an additional ensuite and built in robe for the master bedroom. Removing this third bedroom also provided additional space for a larger living and dining area. This was further enhanced by the demolition of the wall between the kitchen and living areas, which created the illusion of extra space through having one central open plan living zone. 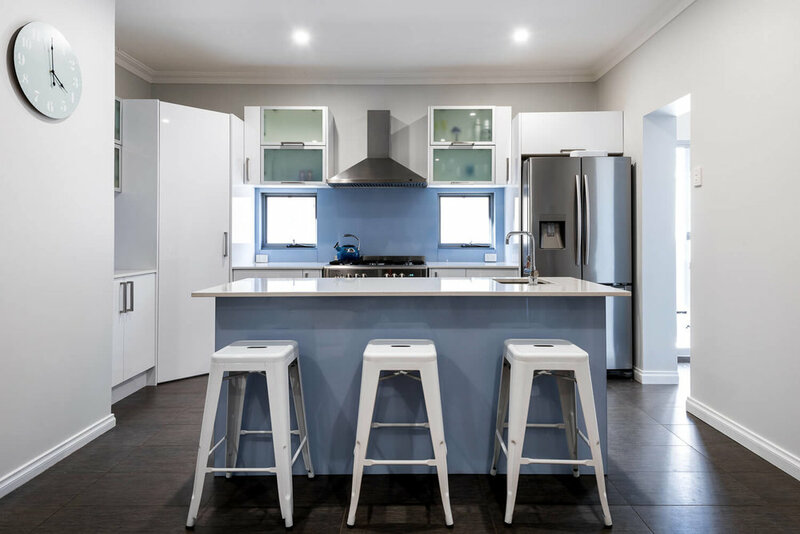 In order to keep within a modest budget, the house was revamped without altering the existing footprint of the home, including keeping the wet areas in their existing locations, only slightly adjusting them in order to make better use of the available space. 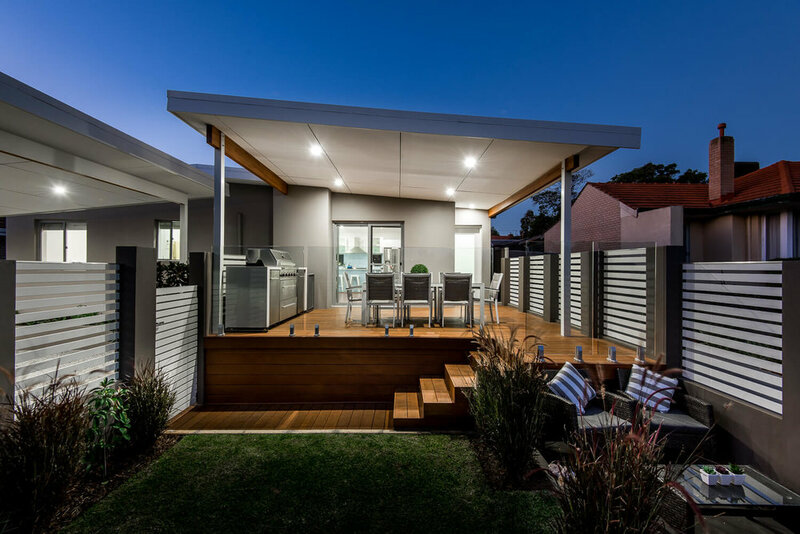 Outdoor living was an important facet of this project brief, with a front deck and alfresco area added to take full advantage of the homes location, overlooking a park and lake. As an extension of the front outdoor living space, an additional carport was added as well as a fence to create a private courtyard off the deck and secure the overall front entertaining space. Overall, the existing façade received a much needed modern update, with internal finishes matching the new contemporary feel of the home. "We could not be happier with the services provided by Dalecki Design. Janik took the time to listen to what we were hoping to achieve and this was evident in the design he came up with. Janik used initiative and his experience to create a design which was far beyond our imagination, it was clever, thoughtful and made use of every inch of space. Now the renovation is completed and we are living in the property, the design has proven to be a complete winner, everything just works. If you have a project in mind, a small site or just need someone who will take the time to listen and deliver what you want, Janik is a must call."